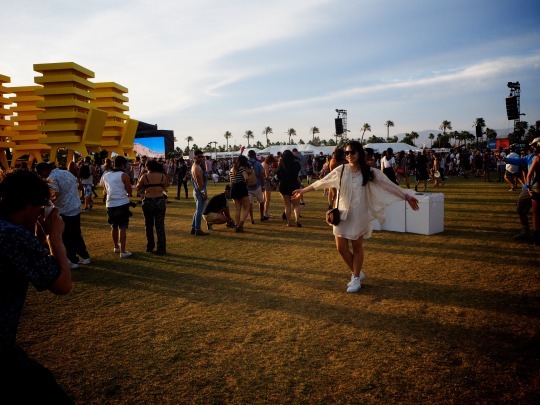 The final stop on our two week #LucieLovesCali road trip: Coachella Festival. Funnily enough, it’s taken me a whole year to get round to posting this, but I hope that the information that I share will prove useful to those of you looking to book tickets to Coachella 2018, this year . 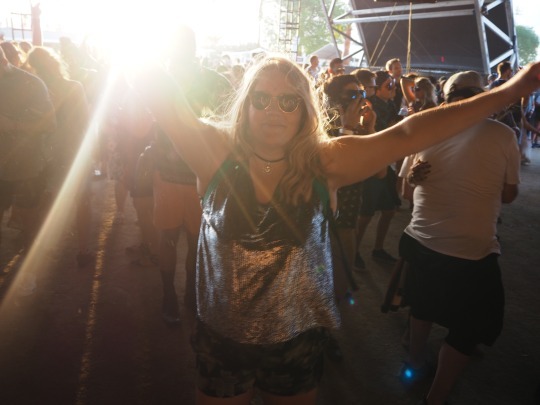 After a mammoth tour of California, visiting the likes of San Francisco, Napa Valley, Yosemite, San Luis Obispo, and Los Angeles – it was time to don our best festival garb and dance to some of our favourite artists. It’s that time of year again. Coachella Festival tickets are about to go on sale! Yup! I’ve just received the email and the line-up looks incredible... The 2018 Cochella line-up includes Headliners: Beyoncé, Eminem, The Weekend, and performances by Miguel, Alt. J, St. Vincent, Jessie Ware, Post Malone, War on Drugs, Fleet Foxes, Portugal, the Man, Cherry Glazerr, Kelala, Moses Sumney, 6LACK, Jorja Smith, French Montana, and so many more of incredible artists! 2018 Coachella Line-Up looks sooo good!!! People who’ve never been to Coachella before are thinking about whether they should book tickets for 2018. 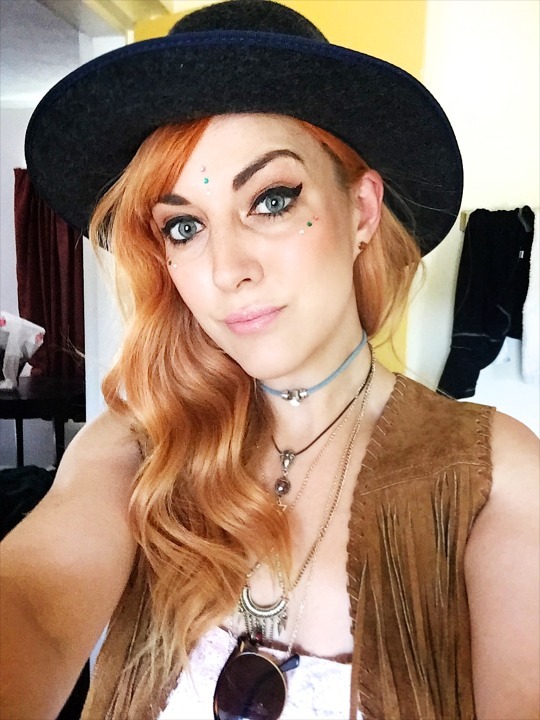 I wanted to share my experience of Coachella, as a British girl attending her first American festival – my two cents might just save you a few thousand, if you’re considering taking the same trip to California as we did. Q. 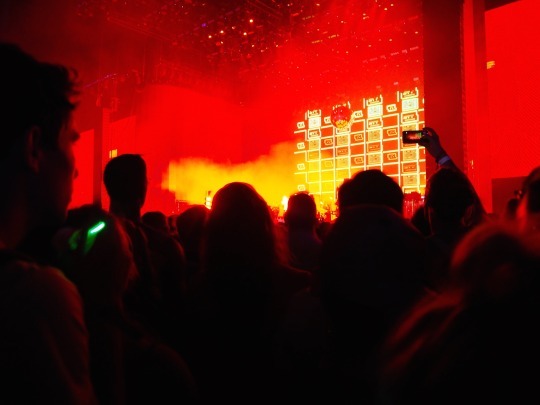 When do you need to book your tickets for Coachella festival? We booked our general admission Coachella festival tickets + shuttle pass in the January, when they were released – 3 months beforehand. Coachella will take place April 13-15 & April 20-22nd, 2018. Passes go on sale this Friday, January 5th at Noon PST. At $918 for two tickets ($459 each – around £370) These ain’t cheap! 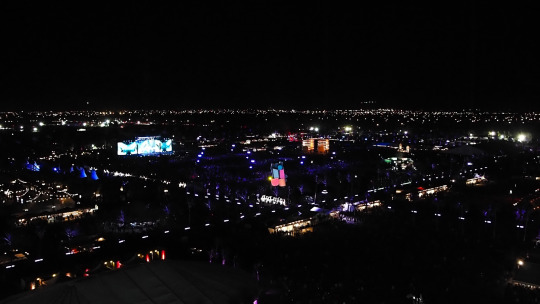 Unfortunately, we waited until just two weeks before the festival to book our Coachella accommodation, which meant that by early April, the majority of the hotel, airbnb and motel options nearby had either a) been booked up or b) sky-rocketed in price. Q. 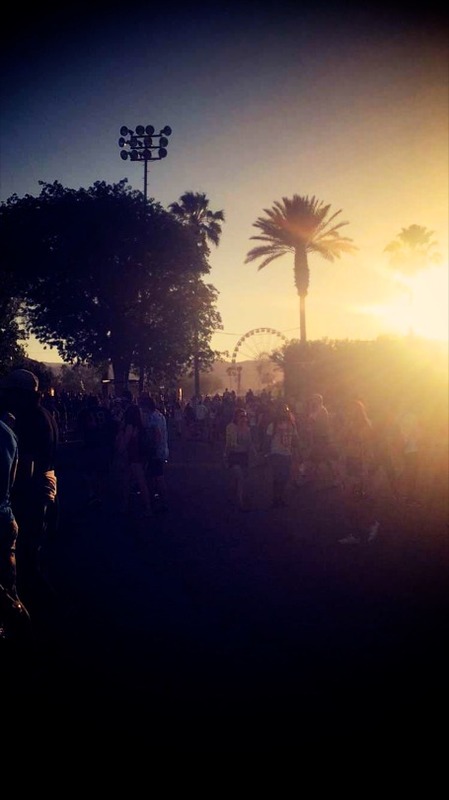 Where do you stay when you go to Coachella festival? So where did we stay? Hilariously, the least glam and most expensive place on the whole of our California road trip, The Indio Holiday Motel. At a stinking $250 (around £226) a night per room for three nights, plus taxes – we paid a whopping $847.50 per room - for two people sharing (around £678 per room or £339 per person) for what was essentially a very basic one or two star motel, with free parking and a pool we didn’t use. 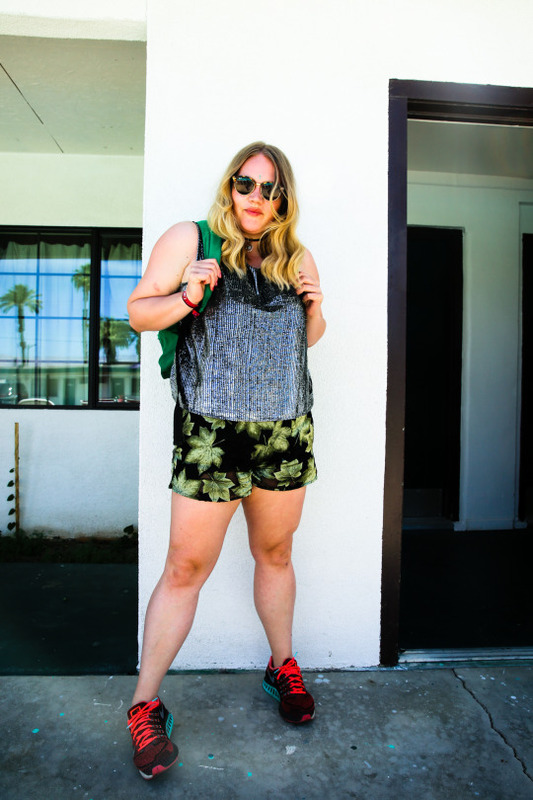 The plus side, it was around a 12 minute taxi ride to the Coachella festival site – and you really do need a taxi (about $20 each way) as the temperatures, even early on in the day are blisteringly hot. Q. 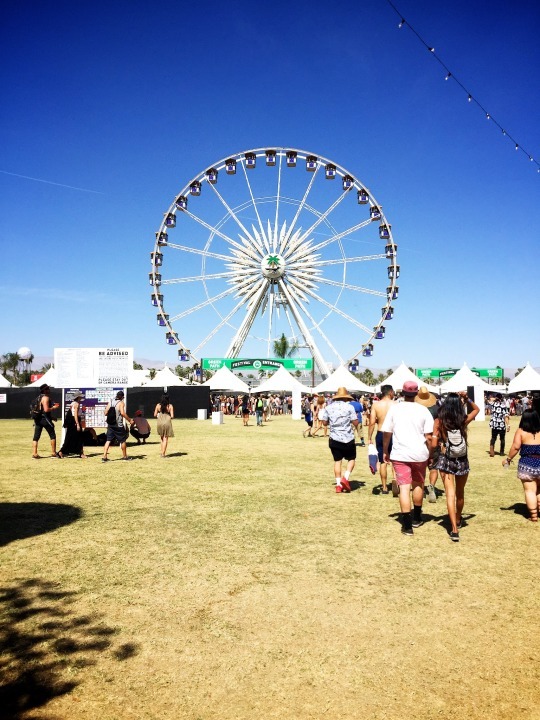 So how much does it cost to go to Coachella festival? Drinks* at Coachella - approx. $10-15 per drink (around £8 - £12) Note: you can’t take (or smuggle) in any of your own soft drinks or booze, so with drinks at around $15 a pop for Prosecco, it gets pretty pricey if you want to get pissed. Clothes & accessories for Coachella – this is where you can end up splashing out quite a bit, getting carried away on your Coachella-outfit, to keep up with the Kardashians – and all the other celebs that get papped looking (unrealistically) fabulous in the desert heat. Other things to budget for: Coachella merch, rides, after-parties, etc. Q. Will my phone work at Coachella Festival? Phone signal is pretty non-existent at Coachella, so if you have plans to meet up with friends, don’t rely on your phone to try and communicate with them, as there is no 3G and sometimes no service at all. Be sure to arrange a place to meet if you get lost – the ferris wheel is easy to spot, and would be a good place to meet. Take a portable battery charger with you – you’ll be out of battery before you know it taking all those photos and videos for snapchat and instagram stories. Q. Should I get Weekend One tickets or Weekend Two tickets for Coachella Festival? We had tickets to weekend two, as it fit in with the end of our California road trip (see our full California road trip itinerary) and we’d planned to end the trip at Coachella, before heading home to London. The artists are the same for both weekends, but I think most of the celebs must go to weekend one, as the only celeb that we saw was the guy from Catfish. Lol. The VIP areas are also very separate from the normal crowd, so this is probably another reason why we didn’t see anyone. Go for Weekend One instead! 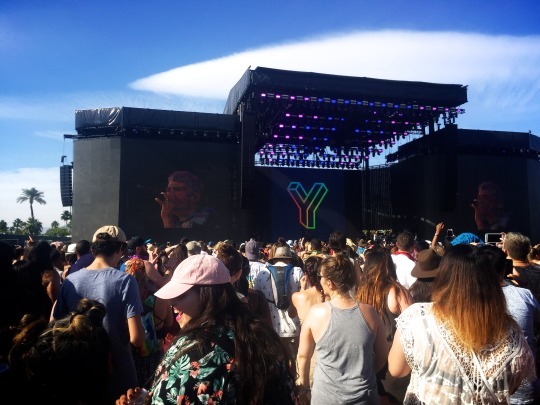 My favourite acts from Coachella festival 2016 were Years & Years (the soundtrack to our road trip), Gallant, James Bay, Bat for Lashes, Disclosure (the whole field turned into a club! ), Foals, M83, LCD Soundsystem. Q. Do people drink alcohol at Coachella Festival? If you want to have an alcoholic drink at Coachella you must queue up for a wristband first, to prove that you’ve shown ID to say that you’re over 21. Once you’ve got this wristband, you then make your way to one of the penned off areas – away from the stages, and buy your over-priced beverage. You’re only allowed to leave the penned area once you’ve finished your alcohol drink – and not before! So, there’s usually a bit of a mad swarm between sets, to get to the bar. 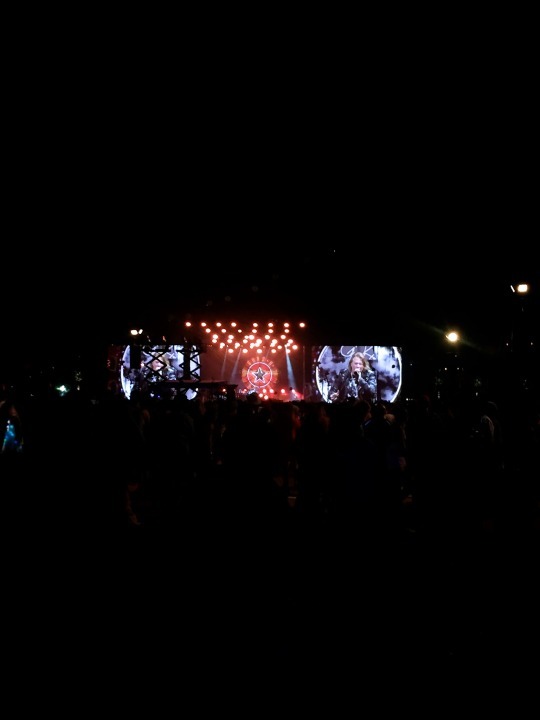 Apparently, drugs are bigger than alcohol in America, this was pretty evident at Coachella, as people prefer to smoke weed instead of getting drunk – the air is literally thick with the smell of it! Q. 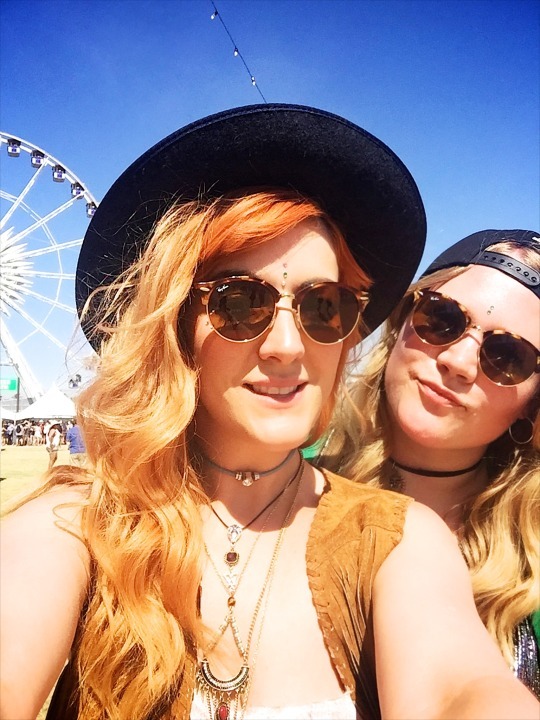 So, I’ve seen Coachella on TV, on Instagram and in magazines… But what is it really like at Coachella festival? In all honesty, if we’re going on appearances and first impressions – Coachella is as glamorous as you’d imagine. But this effortlessly chic style can only really be achieved if you’re from some hot climate and don’t break into a sweat as soon as you step out of the air-conditioned coolness of your hotel. Literally as soon as we left our room to order a taxi, our scalps prickled with beads of sweat. Seriously, it’s harder than you think not to have your make-up sliding off your face within minutes of stepping outside. We took a small rucksack in with us, packed with baby wipes, hand-sanitizer (cleanest festival toilets I’ve ever experienced! ), deodorant, glitter, gems, more glitter, lipstick, some cash and a warmer layer of clothing for when it gets cooler in the evening – because it does get chilly once that sun goes down. You’d also be advised to take suncream, and a scarf to protect your face and lungs from the desert dust that gets thrown around in the breeze. 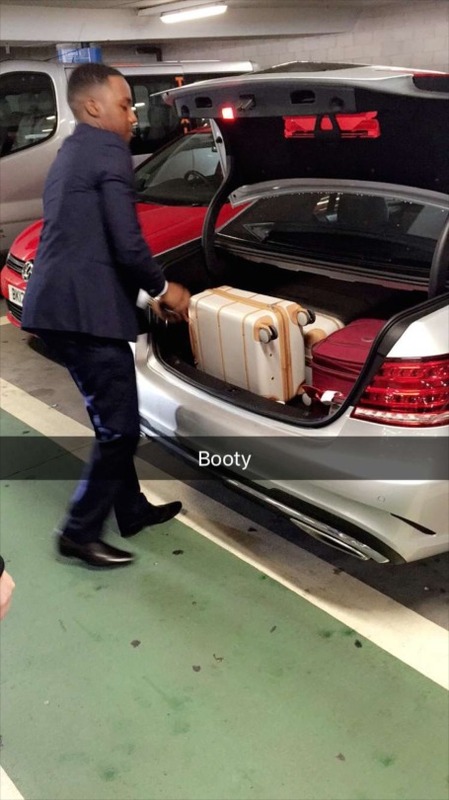 A hat is also vital! It’s like 90ºF!! In my opinion, Coachella is very different from any British festivals I’ve been to (and I’ve been to a few: Glastonbury, Secret Garden Party, Reading, Mostly Jazz Fest, Summer Sundae, and LoveBox, etc) British festivals are far more hedonistic – you buy a drink, or take them in with you, and you can enjoy watching your favourite bands, with your favourite drink in hand. Coachella, in contrast to this, is rather restrained – a little too restrained for my liking, and very much style over substance. (regretting this comment now I’ve seen the 2018 line-up!!!) 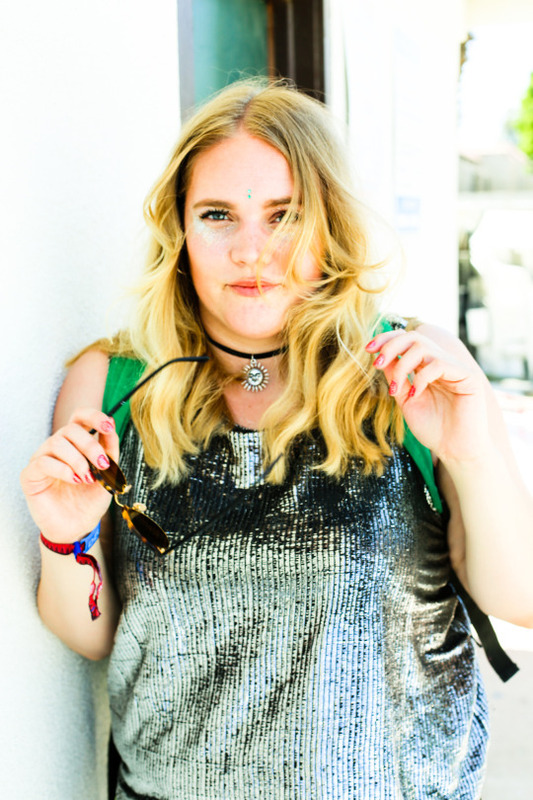 There’s more posing at Coachella than any other festival – even Glasto. Q. 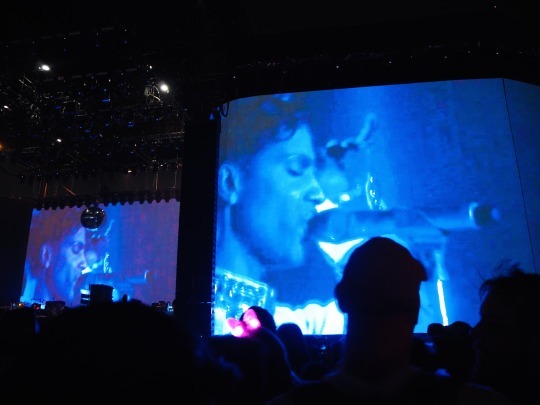 Is Coachella Festival worth the money? 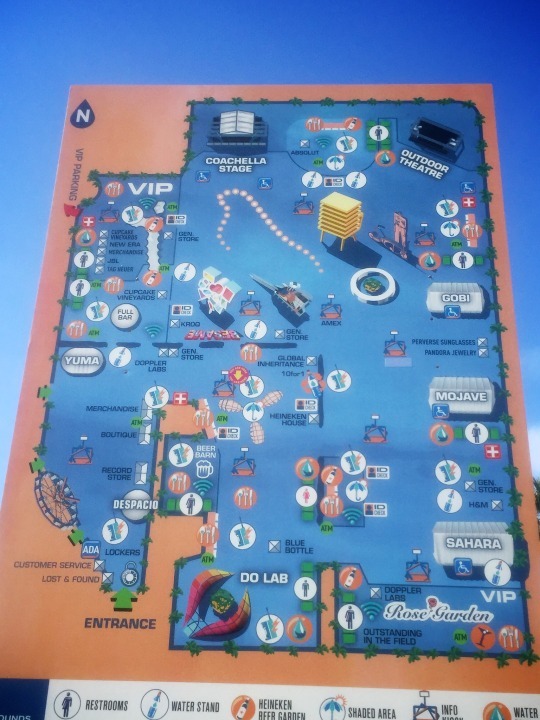 On the whole, in terms of hedonism and value for money, I was a bit underwhelmed with my first Coachella experience. I mean, I enjoyed seeing the artists that I did, and spending time with my friends, but the cost of it and the palaver of trying to get a taxi home afterwards was a bit of a nightmare – we waited hours!!! So, if you’re a Brit wanting to go to Coachella, I’d say to make it part of a much bigger California trip – and save up a LOT of money before you go, so that you can enjoy it properly. Alternatively, check out UK festivals or those being held across Europe, and save your pennies – you could probably afford to go to three or four of these instead of Coachella, and have just as much fun. Coachella is less hedonista, more fashionista. 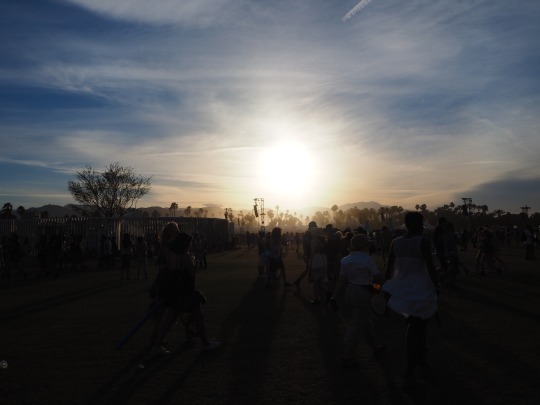 Unfortunately, due to our flight being on the Sunday, we had to miss the final day of Coachella festival (boo!) and hot foot it back up to Los Angeles to drop off our Mustang hire car. We then caught an internal flight to San Francisco, for our final flight home from SF to London Heathrow. 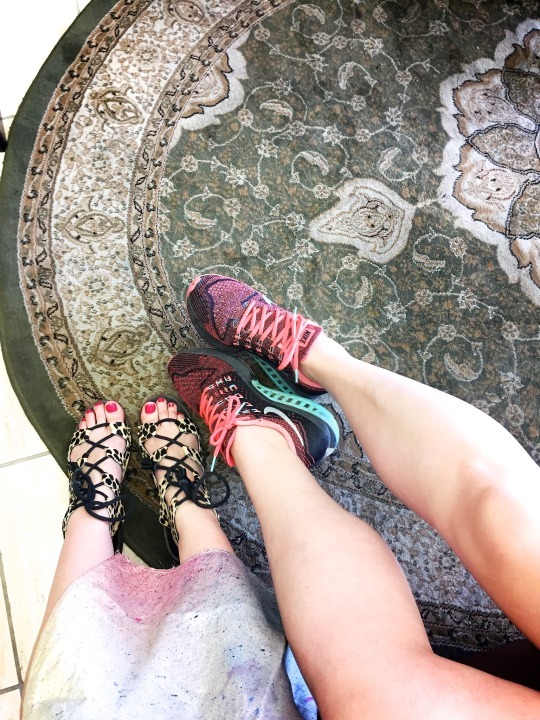 It was pretty stressful, doing so much travel on one day, and Roz’s anxiety nearly went through the roof, as she had visions of us missing our connecting flight due to traffic! 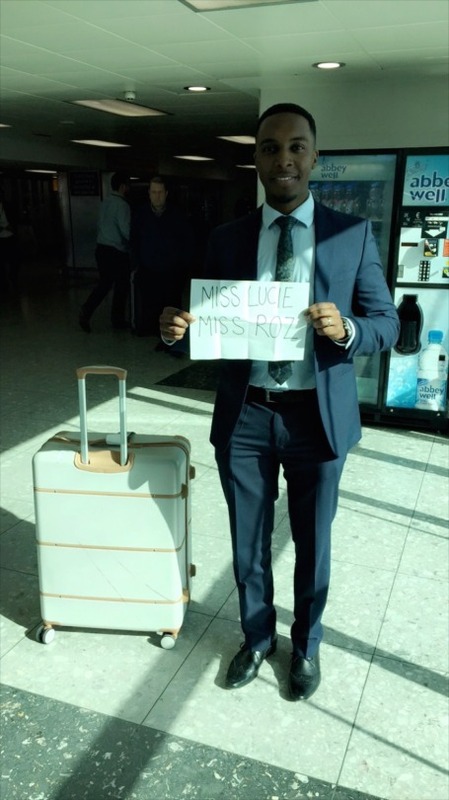 However, we made both flights, and after a mammoth day, we were grateful for doing a bit of forward planning and for the Blacklane private chauffeur, who picked up our Coachella-worn and weary selves, at Heathrow and delivered us safely back to our waiting London beds. If you’re planning a California road trip of your own and have any questions that aren’t covered in my blog posts below, please get in touch via email, Twitter or Instagram and I’ll try my best to answer them. For more details about where to stay, what to eat and what to do in California, take a look at my travel posts below for San Francisco, Napa Valley, Yosemite, San Luis Obispo, Los Angeles and Coachella. Thanks for reading and have a great trip!